Yeh Rishta Kya Kehlata Hai, is a Hindi-Language television drama airing on weekdays on Star Plus. It premiered on January 12, 2009, and is the longest running Hindi Indian series. The show is produced by Rajan Shahi under the banner Director’s Kut Productions. This is one of the long-running TV serials. There are so many followers who follow the daily update of the serial. The serial Yeh Rishta Kya Kehlata Hai is the highest TRP rating show. Yeh Rishta Kya Kehlata Hai today’s written episode update is all about Kartik wonders how to tell Naira about their baby. 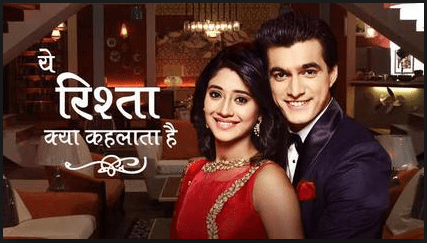 Yeh Rishta Kya Kehlata Hai 28th January 2019, the written episode begins with Kartik shocked after hearing the news about his baby’s death. Kartik comes out to the room and sees Naira after this he runs away as he does not know what to tell her, he gets panic to saw Naira in front to the door. Kartik runs and goes inside the temple. He gets very angry at God and asks why did God do this too bad with him and Naira. He amazed what will he said to Naira when she gets up. Kartik said Keerti is in the coma and her baby is fine but who will do take care of him. He realizes his phone is not there with him. Kartik asks god to help him out to help his family and make the worst thing in good ones. He sees pandit advice his followers. In the hospital, Naira is still unconscious. Kartik comes and sees Naira and can not control his feelings. Katik goes and sees Keerti’s body. Naira wakes up and unable to see a baby in the cradle, cries out. Naira asks the doctor about her baby. Kartik requests the doctor not to tell Naira the truth. Naira is restless and the doctor gives an injection and Naira sleeps.